Gaming publisher EA has announced some changes to its organisational structure that will see a number of its development studios brought under the single banner of EA Worldwide Studios. 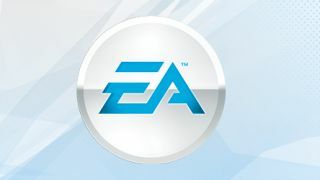 In a post on the company's blog, CEO Andrew Wilson said that the formation of EA Worldwide Studios would bring together the "top creative talent" in all of the company's studios "to work on EA's powerful brand portfolio and new IP." The studios involved in this reorganization include EA Mobile and Maxis led by senior VP Samantha Ryan who will also take on a leadership role in Bioware, known for its successful RPG titles Dragon Age and Mass Effect. In turn, Ryan will report to Patrick Soderlund who will head up EA Worldwide Studios itself. Further to this, the Frostbite Engine team will be moving into EA's central Technology group led by the company's CTO Ken Moss. Essentially it seems that EA is merging its console and mobile divisions and bringing Maxis into the mix. By bringing the expertise of these different platform developers together and uniting them with the Frostbite engine, EA should be able to improve the performance of inconsistent studios like EA Mobile and Maxis. Hopefully, it will result in giving gamers better games across the board with a more consistent EA identity. Andrew Wilson says the organisational changes have been implemented as part of EA's continued efforts to be a company which puts its players first, stating that "at a time when players are engaged in games across more devices, the tenets of making great HD and mobile experiences are converging. "Our ability to blend our strengths to deliver amazing games across genres, geographies and platforms, in a networked environment, is central to our future success." EA is certainly trying to prove its commitment to putting gamers first and overturning negative opinions, an aim it made clear earlier this year when it skipped E3 to host its own conference in order to "connect directly with players and create a meaningful experience for them."